Access Detailed Parcel Information Anytime, from Anywhere, in 3 easy steps. 1. Choose a search Type: Taxpayer LastName, Property Address, Property ID (PID), or Lake Name. 3. Work with results (including pay property taxes online). Click to export results as ready to print Mailing Labels (Avery 5160). Click to export results as a Spreadsheet (CSV) to work with on your computer. *Data is updated on a nightly basis. • If you have trouble locating a property by address, try entering a partial address, such as "184" or "Sawbill"
Disclaimer: The Cook County Internet Parcel Inquiry provides online access to tax record information maintained by Cook County for individual parcels of property. The data is intended to be used for informal purposes only. It is not intended for use in abstract work, land surveys, title opinions, appraisals, or other legal documents purposes. 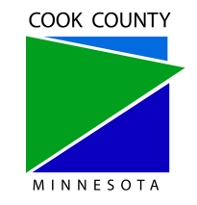 For up-to-date and/or certified information, the user should contact the Cook County Auditor at 218-387-3640. Cook County does not guarantee the accuracy of the material herein contained and is not responsible for any misuse or misrepresentation of this information or its derivatives.